Over the past two years, we've seen an apparent increase in the number of maintenance-related accidents and incidents within our Lancair community. I say apparent because 1) the causal factors of several recent accidents are still under review, and 2) we've received reports of "apparent" maintenance errors and omissions—by both owners/builders and experienced Lancair maintenance shops. It's my observation (opinion, actually) based on these reports that we're not maintaining our airplanes as well as the original builders of the past did—nor as well as required for safe operation in some cases. One possible cause is that we have significantly fewer builders in the Lancair community. More than half our current LOBO members are "second owners," so it's a reasonable assumption they are less familiar with their airplane—and by derivation, requirements for its upkeep—than the original builder. And the percentage of "second owners" is increasing as these airplanes are proving to be long-lived. On that point we've seen very few long-term structural or other airframe issues if the original construction was sound. Indeed, the statistical data seems to bear out the fact these airframes are overbuilt. At least one builder-assist shop in Oregon has a thriving business "updating" older Lancairs with new instrumentation and interiors. As long as you--the pilot--do not stick the pointy end into the ground too sharply upon re-connecting with the earth, these Magic Carpets will be around for a while! So it’s logical LOBO should be proactive in helping you maintain them. LOBO initiated several projects to educate our member/owners about inspection and maintenance, and will expand them during the coming year. For example, we co-hosted an engine maintenance clinic in Fairhope (Mobile), AL in the spring of 2014 with Continental Motors. The feedback from attendees indicated that few owners are following all Continental’s mandatory inspection/servicing directives, and that many owners—and even some mechanics—are unware of the requirements. Additionally, most do not have access to the instrumentation required to set up and service the fuel system. 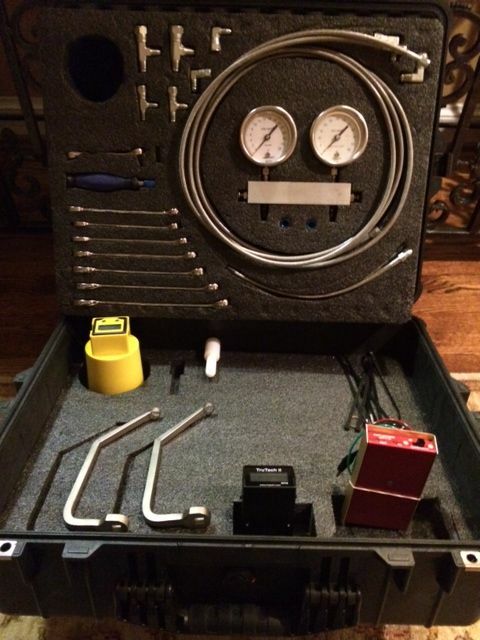 LOBO assembled a kit of tools and instrumentation for fuel and ignition system checks. This kit has been available to members since early in 2015 and has been used by six members to date. Click here for more information about this kit and how to get it. Based on use and feedback we are upgrading the existing kit with additional tools/instruments, and assembling two more, one of which will go to Australia on a semi-permanent basis for use by our loyal members "down under." Both new kits will be optimized for fuel system setup of turbo-charged Continental engines. 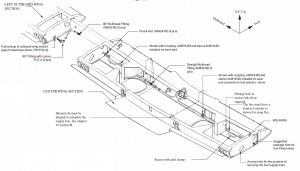 In addition to the fuel system instruments, all kits will have an aircraft-grade video borescope, ignition timing, compression testing instruments and a prop balancer. We expect to have these units available for your use by February of 2016. Each kit will be packaged in a damage-resistant "Pelican" hard plastic case, and will weigh 40-60 pounds. We'll continue to charge a $500 deposit for their use, with $400 refundable upon return of the equipment in good condition. You will need to pay for "return" shipping to me or the next user. Right now, the one-way (FEDEX ground) shipping charge, with minimal insurance that does not fully cover the cost of the included equipment, is approaching $100. We think this will go a long way toward helping you inspect and service your Continental-powered Lancair, but what about "the other half" who are flying behind Lycoming or, heaven forbid, turbine engines? We're working this as well! First, many of the tools available in the current kits, such as the borescope, compression tester and prop balancer, will be useful to Lycoming-engined Lancair owners. 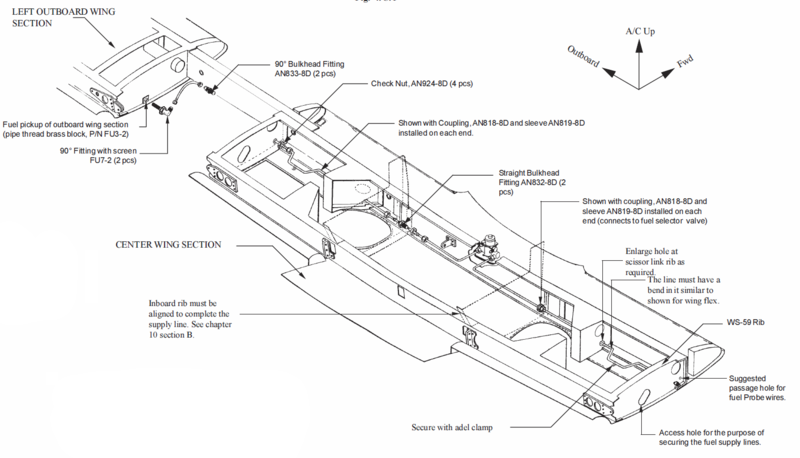 If someone with the right experience would be willing to help me, I'll either make a kit specifically for Lycoming setup/inspection, and/or add required tools/components to the existing kits. And by the way, we have a pretty good count of the Continental and turbine-powered airplanes, but we honestly don't know how many of you out there are flying behind Lycoming engines! We've talked to a recognized expert on the Walter turbines, and his recommendation is that our owner/pilots not attempt to inspect the internal components of these engines without training. The two issues are 1) knowing what to look for/where to look, and 2) the likelihood of significant (read EXPENSIVE) damage when you poke the video probe into the hot section of the engine. 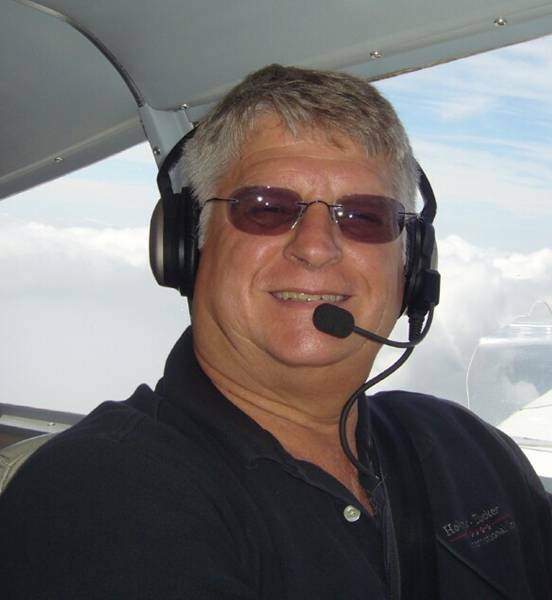 We plan to have John Cooke present a seminar (hopefully to include some "hands on") about inspection and maintenance of Walter turbines at the September 2016 LOBO/Lancair Landing in Fairhope, AL. Expect to hear more on this as we develop the Landing Agenda in the coming months. I’ve written previously about the need for an "airframe" fuel system test if you'd not done so personally. I specifically recommended that you accurately measure the useable quantity and test the fuel system instrumentation for your aircraft--especially if you were not the original builder. This article is posted on our web site and LOBO has the tools and fittings described in the article available for loan if you have trouble sourcing them yourself. LOBO purchased vibration analysis equipment in 2013 that was used by several members to refine and optimize the selection of rubber engine isolators for IV-P and Legacy aircraft. This equipment remains available, but requires a rather extensive set of test flights be conducted with the equipment installed, and the results sent to one of our members for analysis. We were able to achieve significant vibration reduction in these aircraft; click here to read specific recommendations from this work on our web site. Maintenance has been a subject at every LOBO/Lancair Landing, but the second major maintenance "event" was the Thursday afternoon seminar at the 2015 Landing in Denver. This was the "warm up" for a significantly-expanded all-day maintenance clinic planned for the 2016 LOBO/Lancair Landing in Fairhope, AL next September. In addition to seminars, briefings and handouts covering inspection and maintenance requirements for all experimental-amateur built Lancairs, we're planning as many hands- and eyeballs-on as possible in Fairhope. To that end, I'm looking for owners willing to make their aircraft available in the Continental maintenance hangar for the "hands-on" seminars (will likely involve removing cowlings and other inspection panels). If you intend to come to the 2016 Landing and would be willing to volunteer the use of your airplane for these maintenance seminars, please send me an email. You will be responsible for opening and re-assembling your airplane; Continental will provide workspace inside their hangar for this. LOBO’s Board remains actively involved with the FAA, EAA, NTSB, Type Club Coalition and other general aviation organizations to improve the safe operation and maintenance of these wonderful airplanes--in addition to the direct efforts above. If you have any recommendations about how we could do more or do better, let us hear from you! For questions or comments on this article contact Bob at rpastusek [at] lancairowners.com.